The rock group by the name of the Rascals recorded “People Got To Be Free”, their most enduring hit, in the tumultuous summer of 1968. Martin Luther King died that spring, at age 39. Barak Obama was just turning 7. The words of this song ring true today as they did in the 1960’s. They were, no doubt, influenced by the life and death of King. They easily influenced our future President, Barack Obama, as they influenced so many of his generation. These are the words. As stated so eloquently in the song, “Peace in the valley people got to be free.” Happy second term, Mr. President. Written by Felix Cavaliere and Eddie Brigate, members of the Rascals. 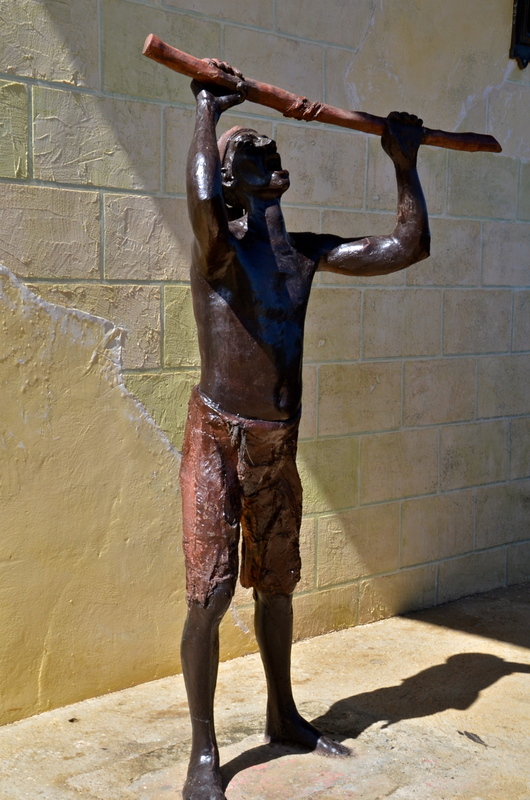 The statue was inspired by the slave revolts in Cuba in the early 1800s. The opinions in this blog do not represent the opinions of our families, our friends or our employers. This entry was posted in Photography, Social and Economic Issues and tagged freedom, human rights, Inauguration, Martin Luther King, peace. Bookmark the permalink.